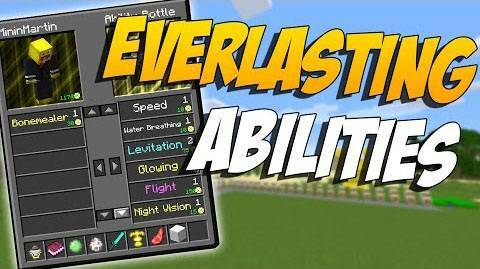 Everlasting Abilities Mod 1.11.2/1.10.2/1.9.4 Have you ever thought that one day, you will have a special power? Or sometimes you may want to have certain abilities without using different potion bottles, wearing specific armor or using specific tools. 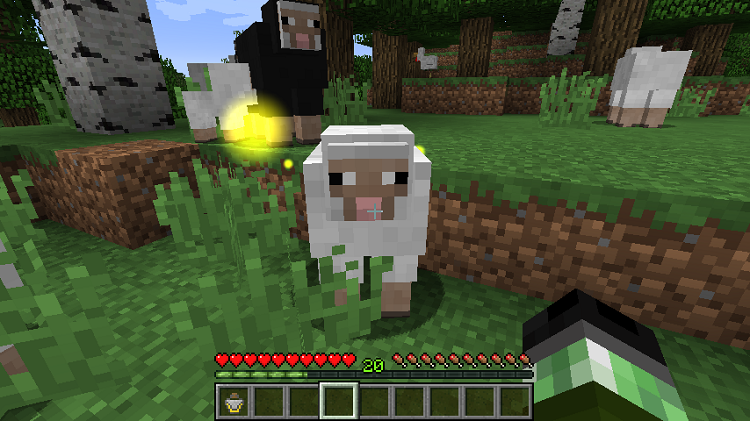 Everlasting Abilities Mod is an answer for you from Minecraft and I hope this answer will satisfy you. 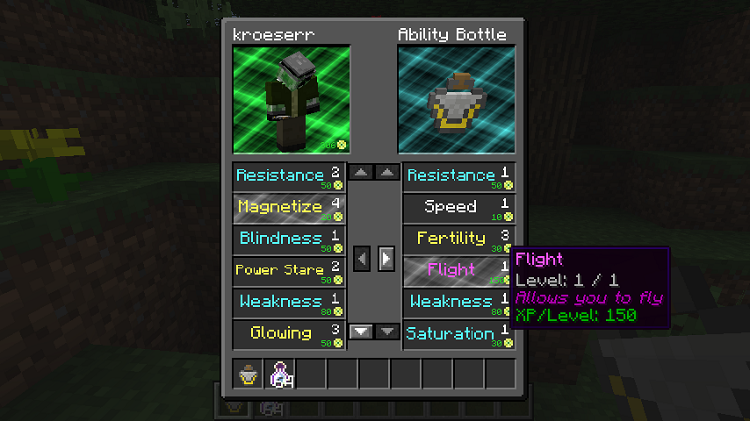 This mod allows you to have persistent abilities which stay on you after you die, and you don’t have to carry around specific items. Abilities that target entities in an area won’t be applied to players that are in the same team as you. This mod collects anonymized startup data, this can be disabled in the config file and adheres to Minecraft’s snooper settings.